How did you realize you needed a ​​redecoration? "We planned the decoration of our flat before the baby was born to prepare us, because this might not be possible later" says Marian. Why did you choose the natural stone? 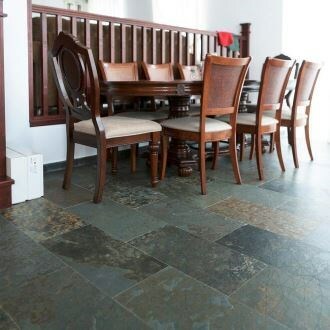 One of their friends, already a PIATRAONLINE customer, explained them the benefits of natural stone. 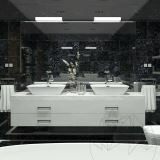 In the last years, since Romania started to appreciate the stone, travertine climbed on top of customer preferences. It is a friendly and stylish material that changes the perception of the renovated area. It can be used virtually anywhere and highlights any space. "We visited the showroom and the sales consultant offered us some good advices and helped us with the decision" says Marian. 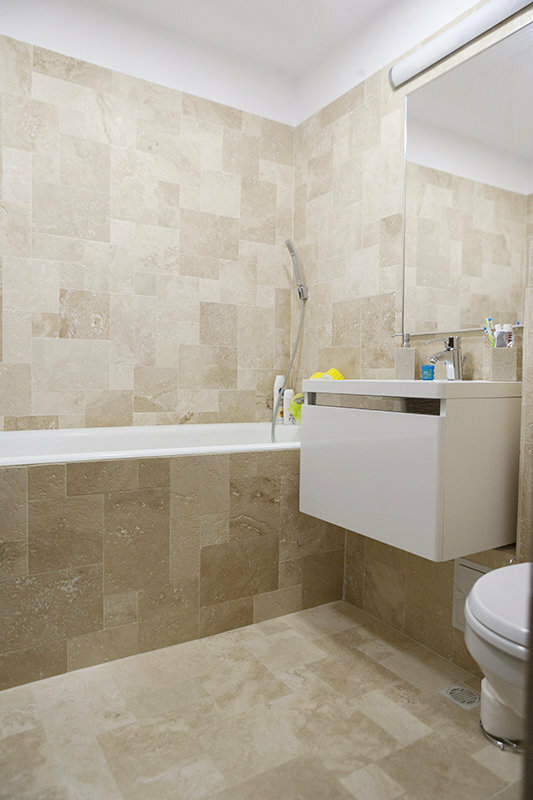 They chose a classic decoration project with Classic Cross Cut Brushed Travertine, Mini French Pattern Set - very suitable for a less generous space bathroom. Keep in mind that travertine fits perfect, both in houses and apartments, regardless of the project’s dimensions. 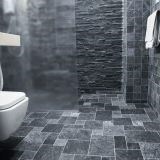 In less generous spaces, smaller, easier-to-integrate tiles are recommended. The experience of installing this natural stone has led Marian to appreciate the importance of contracting a specialist because the natural stone has its own particularity and it is important when the installation team is skilled with the installation procedures for this material. Maintenance is important - the travertine must be waterproofed to seal the stone pores, and then washed only with special detergents, neutral pH, for maintaining the waterproof protection (and the initial appearance of the tile) for as long as possible. 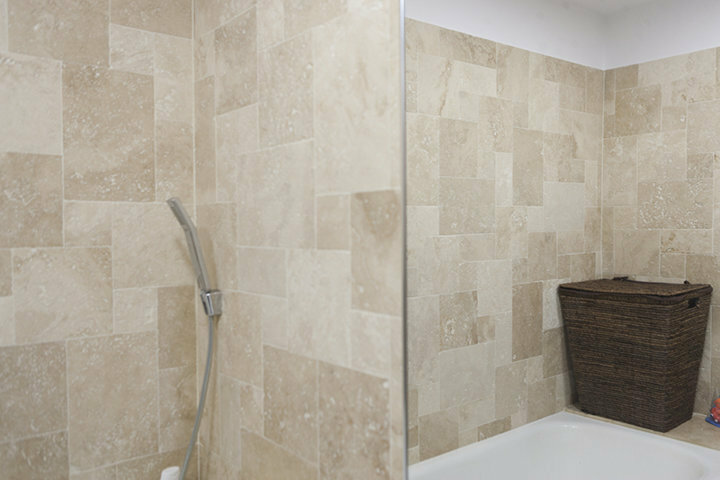 For further details on the travertine best suited for cladding your bathroom, give us a call at +40318.222.333, or send us an email at export@piatraonline.com!